Cornee Walton (left) comes to the aid of Asia Durr after Asia suffers a cramp in Thursday’s game against Maryland ( Cindy Rice Shelton photo). 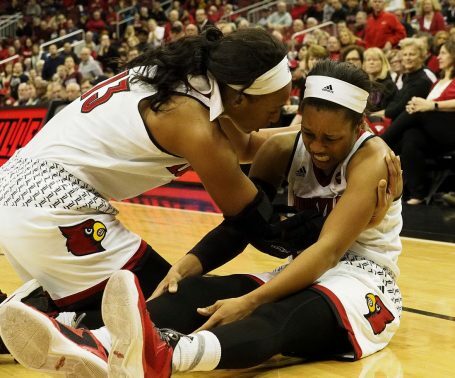 The heart of the schedule has arrived for the University of Louisville women’s basketball team and the Cardinals are learning some hard lessons. The latest a 78-72 loss to Maryland. UofL showed some grit in rallying from an 11-point deficit in the fourth quarters to twice take the lead. Didn’t faze Maryland, with Brenda Frese chalking up her third win against former assistant Jeff Walz in four tries. Briahanna Jackson had a busy night with 8 assists, 3 steals, 5 rebounds and 9 points (Cindy Rice Shelton photo). With Asia Durr leading the way, UofL would build a 24-20 lead at the end of the first quarter. She was open early and often, scoring 17 of her team high 20 points in the first 20 minutes, keeping her team within four points of the visiting Terrapins at half time. Miserable shooting night for the rest of the Louisville women who could make only 31 of 79 (33.3%) field goals attempts. Shot after shot falling short of the rim most of the night. Maryland, meanwhile, was 25 of 54, or a 61.5% clip. The Cardinals were outrebounded 48-35 by the smaller Terrapins and could connect on only 6 of 14 free throw attempts. Myisha Hines-Allen, picked pre-season ACC player of the year, regained some of her shooting form in the second half, winding up with 16 points. Nobody questioning Briahanna Jackson’s desire to win. She would have eight assists and three steals while contributing 9 points. After six straight wins to open the season, UofL has lost two straight and is staring down the muzzle of a loaded Kentucky team on Sunday. The Wildcats are 8-1 and have won five straight games over UofL and six out of the last seven in the series. That close. So near, yet so far away. 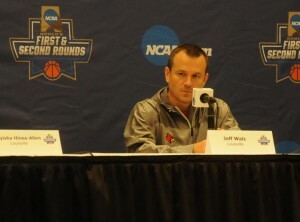 Jeff Walz has been there twice before, the championship game of the NCAA women’s basketball tournament. Only to see his University of Louisville women’s basketball team overpowered, out-quicked and dismembered by UConn. Not even close at the half in either game. The good news for Walz and everybody else next season is that UConn will lose Brianna Stewart and two other All-Americans from a program that won four straight championships. The sobering news, however, is Geno Auriemma, who has won the tournament 11 times, will probably be back with a strong support cast. No way UConn could continue its dominance of the women’s game. Or is there? 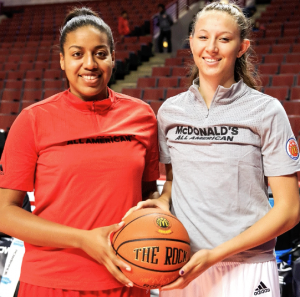 Recruits Cierra Johnson and Kylee Shook. ESPN bracketologist Charlie Creme thinks not. He’s picking UofL to be the No. 2 team in the nation next season, behind only Notre Dame, while ahead of South Carolina, UConn, Baylor, Texas, Maryland, Ohio State, UCLA and Stanford. 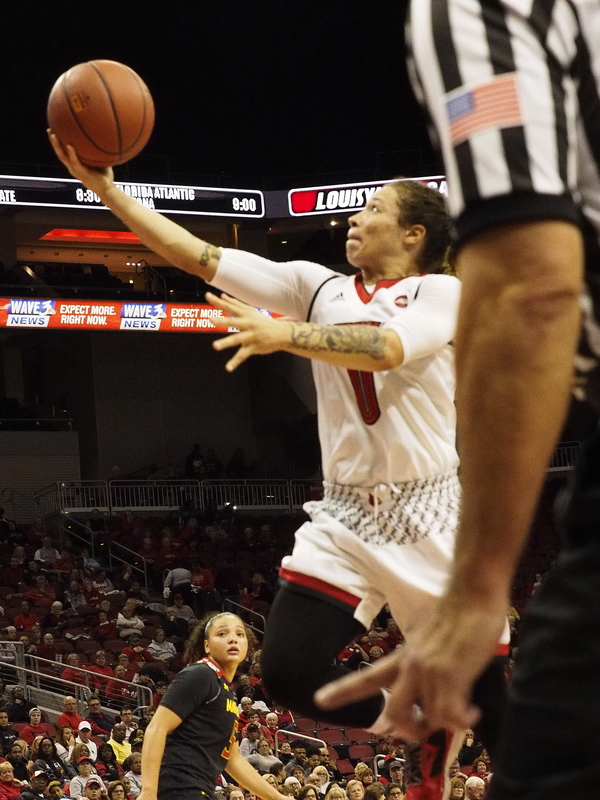 Creme may given the Irish the nod but they weren’t that much better than UofL this season, claiming a five-point win only after Myisha Hines-Allen fouled out in the last three minutes. 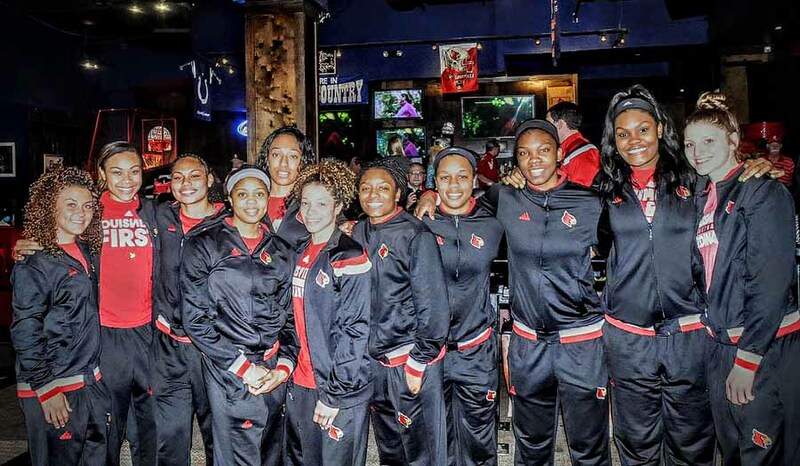 UofL will return 10 players from a team that posted a 26-8 won-lost record, including Hines-Allen, Mariya Moore and Asia Durr. Joining the squad is an all-star recruiting class that include five-star post players Ciera Johnson and Kyle Shook, five-star guard Sydney Zambrotta, four-star forward Jazmine Jones and three-star forward Bionca Dunham. Shook, a 6-foot-5 recruit from Colorado Springs, averaged 29.6 points and 15.0 rebounds to go along with 4.9 blocks per game. Johnson, a 6-foot-4 standout from Texas, averaged 14.9 points, 9.5 rebounds, 4.2 assists, 3.2 blocks and 1.2 steals per game. 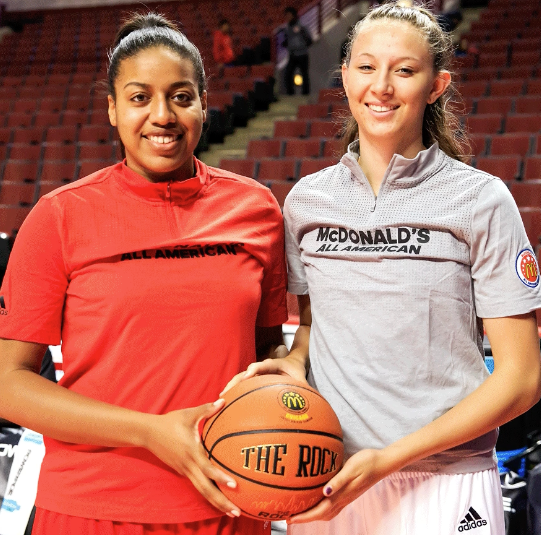 Walz may be in a position to add another McDonald’s All-American in 6-foot-3 Chatrice White, who has indicated she will transfer to another school from Illinois. 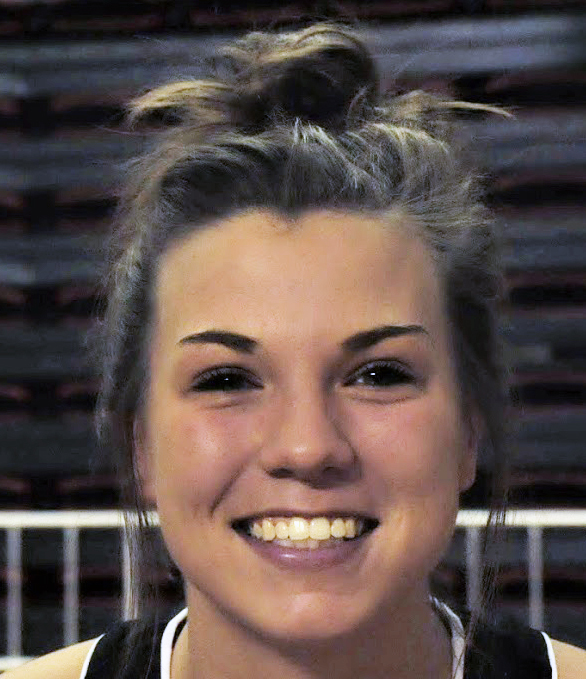 White, who averaged 18.4 points and 9.3 rebounds, is reportedly visiting UofL this week. Oh, and she played on a USA U-19 team that included Walz and Moore last summer. The UofL women experienced some significant growing pains this past season after losing four of their first five games, before winning 16 straight games. They ended on a sour note, however, losing two of the last three outings. They will not be taking winning for granted next time around. 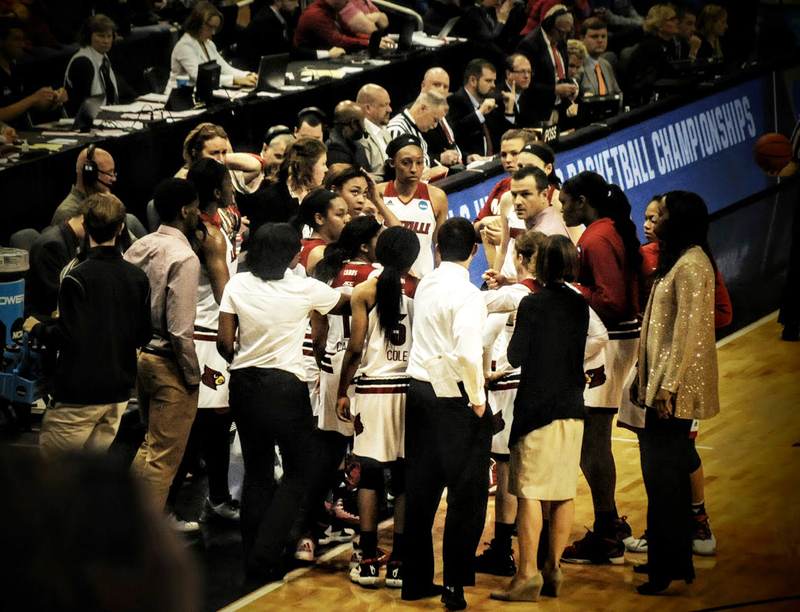 With a year of hard knocks behind them, the UofL women should be force with which to be reckoned during the 2016-17 season. Tons of experience to go with an abundance of size, speed and shooters, and a coach who knows exactly where he wants them to be in the final game. He wants them to cut down the net next time, however. Sydney Brackemyre, always a positive presence on the bench, will be transferring. 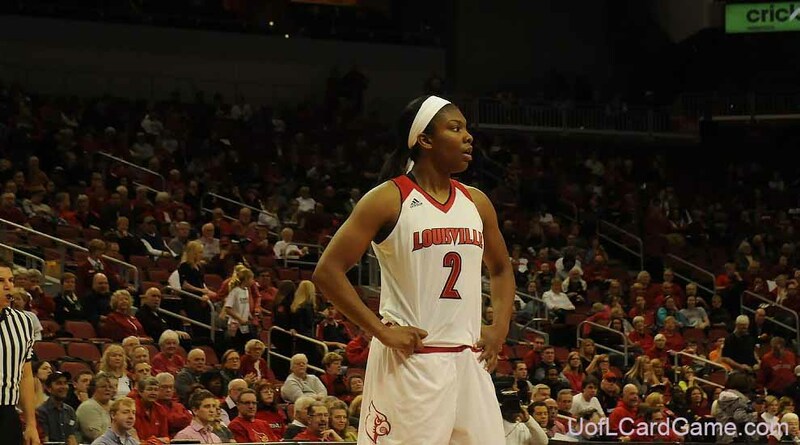 She was never able to contribute after re-injuring a knee and undergoing two operations during two seasons at UofL. She’s the second player to transfer, joining Taja Cole, seeking more playing time elsewhere. Jeff Walz was hit hard by the flu bug over the weekend, and he hasn’t been the same since. He coached the team from a balcony overlooking the court on Monday, not wanting to infect members of the University of Louisville women’s basketball team. The coach’s eyes seem to light up as he heard his players discuss their commitment to getting better on defense going into Friday’s NCAA game against Arkansas Central. Music to Walz’s ears, the coach with the bleary eyes actually managing a smile. “The tournament is what we’ve been preparing for for six months,” he said. “If you have a bad day in the tournament, we’re done. You might not make shots, you might not do something you normally do well but you have to figure out a way to have a positive impact. If you’re not on the floor, be cheering. That would put the effects of flu a distant memory. Long day, needing rest, steady dose of meds. 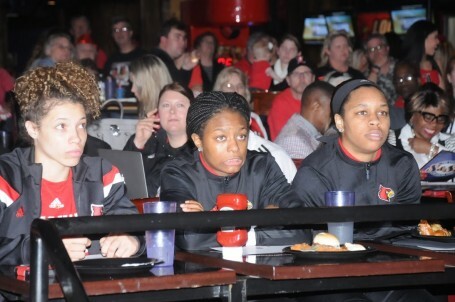 Jeff Walz was unable to attend the selection show party Monday evening at a Fourth Street Live club for the NCAA women’s basketball tournament. He was home in bed with a temperature of 101 degrees, attempting to recover from a cold. Reports from a practice session earlier in the day had him coaching his team from a balcony two stories above the court. He was playing it safe, not wanting any of his players to get the bug. All the players were on hand for the show, including Dakota Weatherford, looking fine. Weatherford, who missed the ACC tournament a week ago because of flu-like symptoms, smiling broadly while denying having passed the virus to Walz. 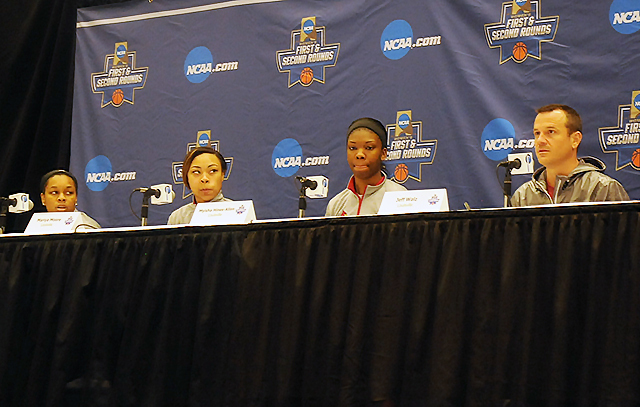 Briahanna Jackson, Taja Cole and Asia Durr focus on the pairings. A shame the coach couldn’t make it, the fans packing the Sports & Social Club, cheering every time the University of Louisville appeared on the many TV screens throughout the bar. The loudest cheers came at about the 7:25 mark with the announcement that UofL will host two opening rounds. Some disappointed that Lexington was out of the picture for regional action but Dallas would be more fun anyway. The Cardinals will play Central Arkansas at 2:30 p.m. on Friday, following a game between DePaul and James Madison at noon. If Central Arkansas sounds familiar for some reason, it happens to be Charlie Strong’s alma mater. The Sugar Bears finished the season 28-3 and won the Southland Conference tournament. Difficult to gauge the size of the crowd Monday but a long line extended quite a distance across the former Galleria complex 30 minutes before the doors opened. Thankfully one observer was able to find a side door and a decent seat up front before the place was overrun by UofL fans. The music was loud, the drinks were flowing, lots of laughing and chattering, quieting down only after the selection show got under way. Jeff Walz would have enjoyed the party, but not as much as he will getting some relief from those nagging aches and pains … and not sharing the virus with his players. The individual accolades are flowing her way but Myisha Hines-Allen wants something much bigger. The University of Louisville sophomore is going to need some extra walls to display all the awards she has earned for leading her women’s basketball team to a 25-7 won-lost record overall and a 15-1 mark and second place in the Atlantic Coast Conference. Following the season, Hines-Allen was named ACC Player of the Year and a member of the ACC all-tournament team. She was named ACC Player of the Week a third time during the season after she hit 11 of 14 shots against Pittsburgh in the regular season finale against Pittsburgh. She averaged 17.5 points and 8.4 rebounds per game while scoring 20 points in 11 outings. More honors to come, including the possibility of first team of the Associated Press All-America team. She also made one All-America team, being picked on the five-member team of College Sports Madness, a popular Internet web site. Other members included Breanna Stewart, UConn; Jamie Weisner, Oregon State; A’ja Wilson, South Carolina; and Makayla Epps, Kentucky. The awards, the trophies, all the praise, those things are nice. But Myisha Hines-Allen has aspirations for more significant honors, more inclusive achievements she can share with her teammates. Those would be consistent with the stated goal of Coach Jeff Walz of winning a national championship. “That would be the ultimate,” she will inform. Three more opportunities to make that a reality. She would never concede anything to UConn or Breanna Stewart.